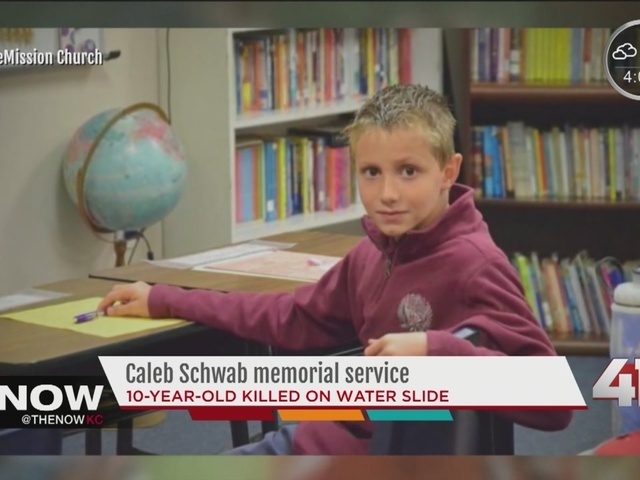 On Friday afternoon, family and friends gathered at LifeMission Church in Olathe to remember 10-year-old Caleb Schwab, who died Sunday on the Verruckt water slide at Schlitterbahn . The Schwab family sat in the front row. Caleb’s teammates sat to the left of the family wearying orange jerseys. Orange was Caleb’s favorite color, which showed in the crowd. At one point Caleb’s father, Republican House Member Scott Schwab, gathered Caleb’s teammates around to cheer for Caleb. Schwab told a story about how he lost his job, and how Caleb was there to support him. 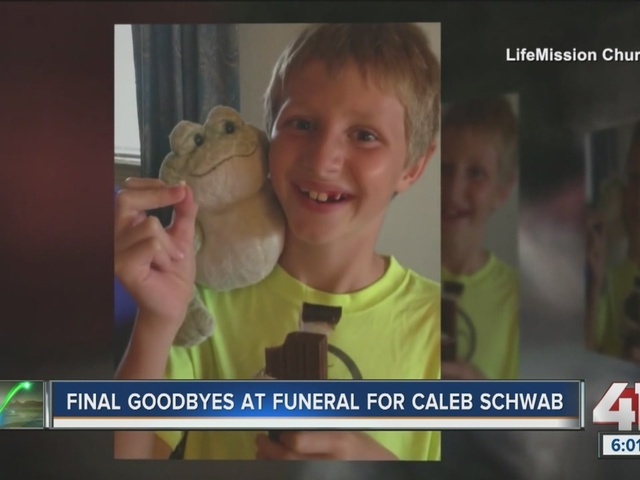 "Caleb was five at the time and he just turned around to me and says, 'Dad, I'm so sorry that happened to you,’” said Schwab. "And I just was whoa. I was the kid who scraped the knee at that moment and he held me. That was Caleb." Throughout the service, family members made it clear they were holding onto their faith through this tragic event. 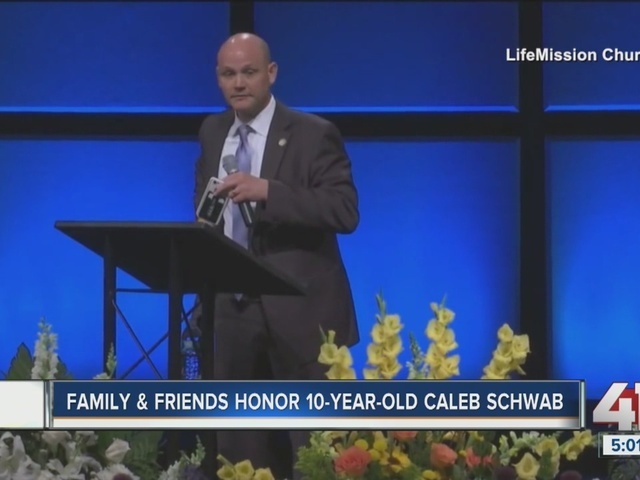 Caleb’s uncle, Pastor Rick Schwab, spoke at the service, telling stories of Caleb and at times making the crowd laugh. “There is just an attitude of hope and that it doesn’t end with what happened Sunday that you know the memories, the relationships, the legacy that Caleb’s leaving behind you got to see that,” said LifeMission Church member Deke Belden who attended the service. Governor Sam Brownback was in attendance, sitting in the front row to the right of the family. On Friday, Brownback spoke to reporters in Topeka, saying he is open to looking at the state’s inspection rules with lawmakers following Caleb’s death.